I haven’t paid enough attention to East Broadway in my wanderings, so I hope to rectify the situation as we edge into 2019. I was on the thoroughfare a few days ago; it had been called Chatham Street, but was renamed in the 1800s as NYC continued its mania to recall Broadway in disparate neighborhoods; Laurens Street was renamed West Broadway in the same century, and there’s a Broadway Terrace in Inwood and a Broadway Alley in Kips Bay. 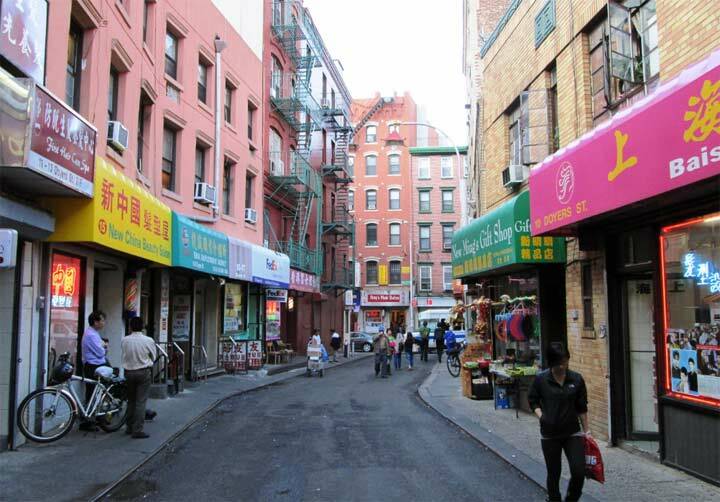 East Broadway traverses Chinatown and the Jewish sections of the LES. Your webmaster found himself in a packed Chinese restaurant in Bay Bridge, Queens on Christmas, and I must have been the only old Irishman in the joint. Here’s a handsome building, the Mesivtha Tiferes Jerusalem Yeshiva, in buff and brown brick at 141-147, just off Strauss Square where East Broadway meets Canal Street. 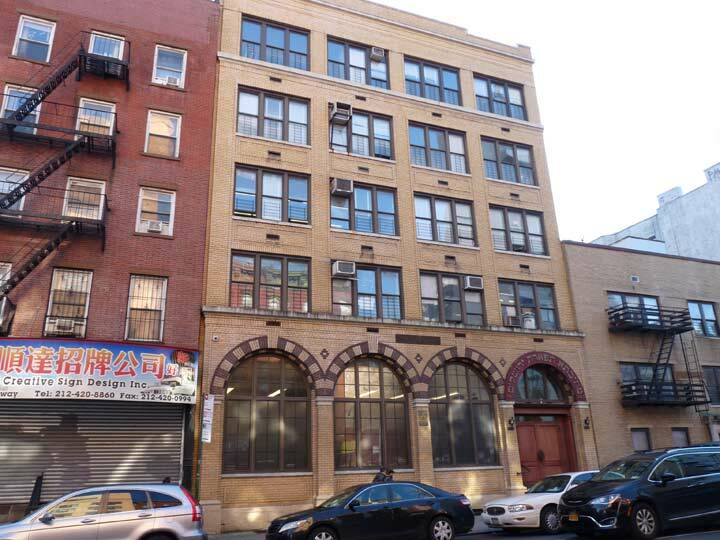 Established in 1907, this is one of the oldest yeshivas in America. It moved to this yellow-brick 3-story building in 1922. The all boys and men’s school offers classes from kindergarten through advanced rabbinical studies post-high school. Its Rabbinical Seminary was established in 1937 and is a leading center for Jewish scholarship. Alumni of the yeshiva serve as rabbinical, professional and lay leaders in Jewish communities nationally and internationally. Between 1937 and 1986, it was led by Rabbi Moses Feinstein, regarded as a leading voice of Orthodox Jewry in America during his lifetime. He issued opinions concerning Jewish law as it relates to modern life such as artificial insemination, kosher status of processed foods, organ donation, clinical death, and so much more. When he died in 1986, nearly 20,000 mourners returned to the Lower East Side for the funeral. This yeshiva has a satellite campus in Pleasant Plains on Staten Island where it has a private street named Yeshiva Lane. On the same block is another private street, Igros Court, named after Rabbi Feinstein’s best-known book. Rabbi Dovid Feinstein, son of Rabbi Moshe now leads this yeshiva. It is a beacon of Jewish learning in a neighborhood that is not as Jewish as it once was. I took a tour last summer with the woman who wrote a book about allow the old Synagogues, I think her last name was Levin. So many…all you have to do is look up, into the doorways of many buildings to see remnants. I believe the book is on Amazon if you’re interested.